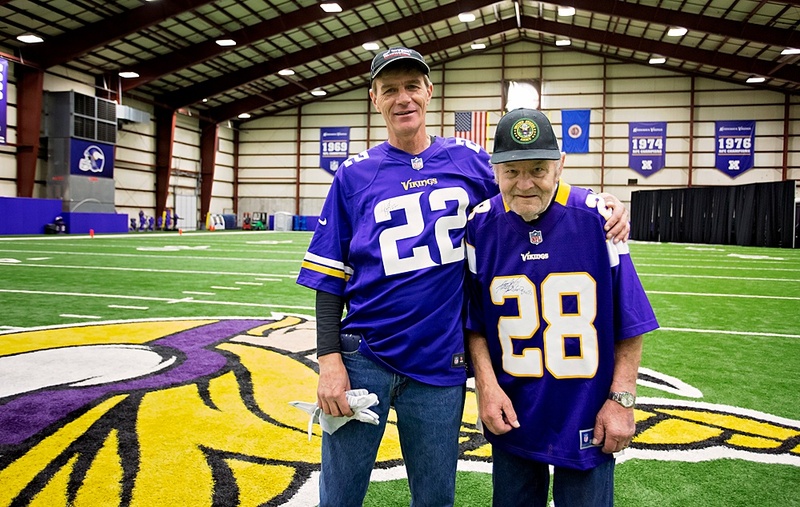 Thanks to Wish of a Lifetime and the Minnesota Vikings, Ford's dream to go to another Vikings game became a reality on September 18, 2015, when they flew Ford and his son Tim from Montana to Minnesota for an unforgettable Vikings weekend. What they didn't tell him was that he would also be visiting Winter Park and meeting the team. 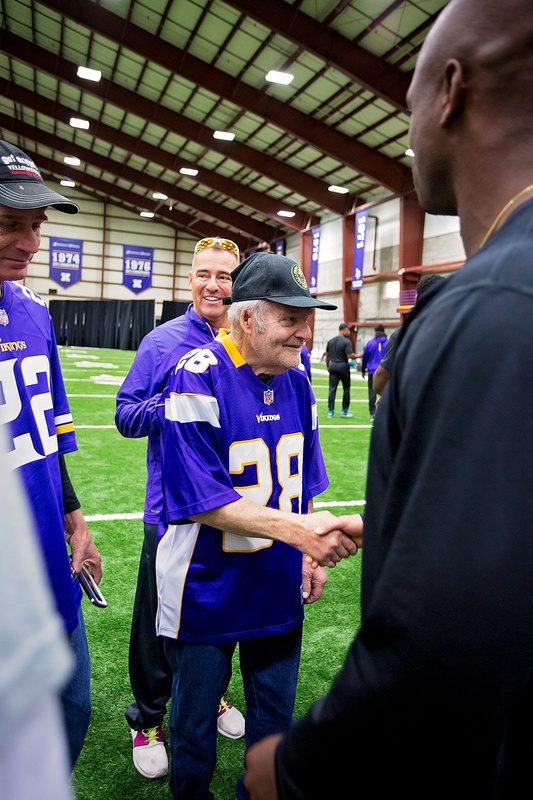 Ford was invited onto the turf at Winter Park's indoor field to watch an active practice. PS. It is surprisingly soft! Babies could lay happily on that stuff! 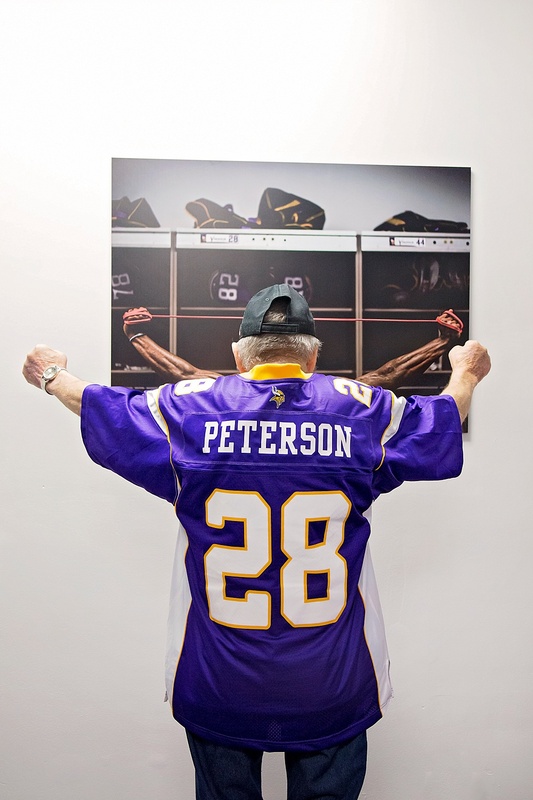 Copying an image of Adrian Peterson hanging in the gym. Watching morning practice with Executive Director of Community Relations, Brad Mason. Due to security and team privacy reasons, we were not able to photograph the players engaged in practice. However, Ford's smile says it all! Ford was asked to come to the closing huddle with players to give the final break. I know nothing of football. So, when the crowd surrounded him, I brazenly pushed my way through the wall of men, ignorant of who they were or what they did - simply so I could capture Ford. Imagine my surprise the next day when I realized who they really were. Oh... hey there, Adrian Peterson.... Vikings Running Back. Sorry for the elbow in the side and kick to the knee! 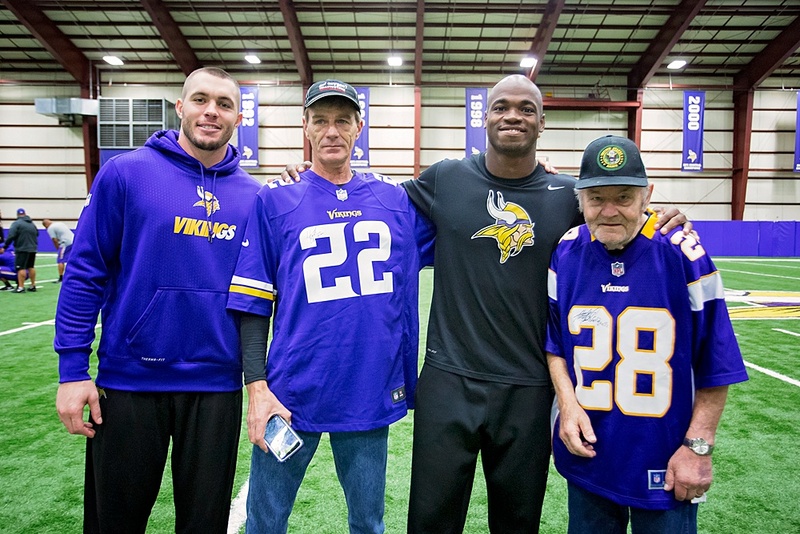 Ford's son Tim also got his jersey signed by #22 Safety, Harrison Smith. Meeting NFL player turned Vikings Offensive Line Coach, Jeff Davidson. Ford passed away a few months after our meeting. Because he left a mark on my heart and gave me an experience I will never forget, I wanted to include his beautiful obituary on this page as a reminder that it is not single monumental experiences that define a life, but instead the life we share with others close to our hearts. STEVENSVILLE – Ford A. Lund, 83, of Stevensville, passed away peacefully Thursday, Jan. 28, 2016, surrounded by his family. Ford was born July 5, 1932, in Duluth, Minnesota, he grew up by Lake Superior and learned to skate and play hockey. That is where he became one of the Minnesota Vikings No. 1 fans. He met Lorraine E. Robinson and they were married Nov. 1, 1952; they raised six children together. He was drafted into the Korean War and was a decorated war soldier, receiving a commendation for going across enemy lines to bring back two wounded Greek soldiers. He was one of two American soldiers to wear the Greek Army Badge of Honor on his uniform for this brave act. After the war he became a plumber and worked in Minnesota, Oregon, Washington and Montana, where they settled in Stevensville and the Bitterroot became his home. He was a plumber for years and did many projects around the Bitterroot, Missoula and Flathead valleys. After he retired he needed something to keep him busy, so he became a greeter at Walmart. Lorraine died Oct. 1, 2002, and he was lost. While working at Walmart, he met Rae Bauer and they were married Oct. 18, 2003. Rae was his constant companion for 12 years up until his death. She also brought into his family two daughters, who enjoyed calling him Dad. Ford was a Cub Scout master and worked with the Eagle Scouts in Washington. He enjoyed planning pranks with his boys to get a raise out of their mom and spent several years going and cheering on the Grizzly football team with his two daughters and many Griz fans. He loved singing while he was working, fishing, camping and sitting around a campfire and drinking strong coffee. He played Santa to many kids in the Bitterroot and Missoula valleys. His favorite thing to do was surprising his grandchildren at school dressed as Santa. Ford was preceded in death by his wife of 50 years, Lorraine; his brother, Leonard Lund; and his mother, Kate. He is survived by his wife, Rae of Stevensville; his daughter, Nancy (Rocque) Couvillion of Florence; son, Michael Lund of Joseph, Oregon; son, Jerry (David) Lund-Nixon of Malaga, Spain; son, Thomas Lund of Missoula; daughter, Tammie (David) Edgerton of Missoula; son, Tim Lund of Missoula; stepdaughters, Amy (Josh) Klein of Missoula and Andrea Bauer of South Dakota; sister-in-law, Janet Lund Johnson of Duluth; several grandchildren, great-grandchildren, nieces and nephews; and many friends he called family. Ford was a loving husband, father, grandfather, great-grandfather and uncle. The kind of man who would help you out without being asked. 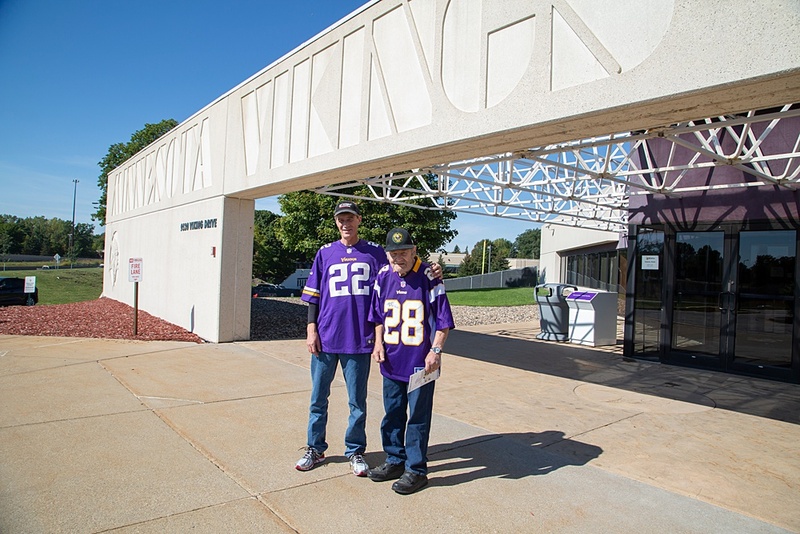 A special thank you to Wish of a Lifetime for their wonderful organization that make wishes come true for senior citizens, for sending Ford on the trip of his dreams, where he finally got to see his beloved Minnesota Vikings in September 2015. 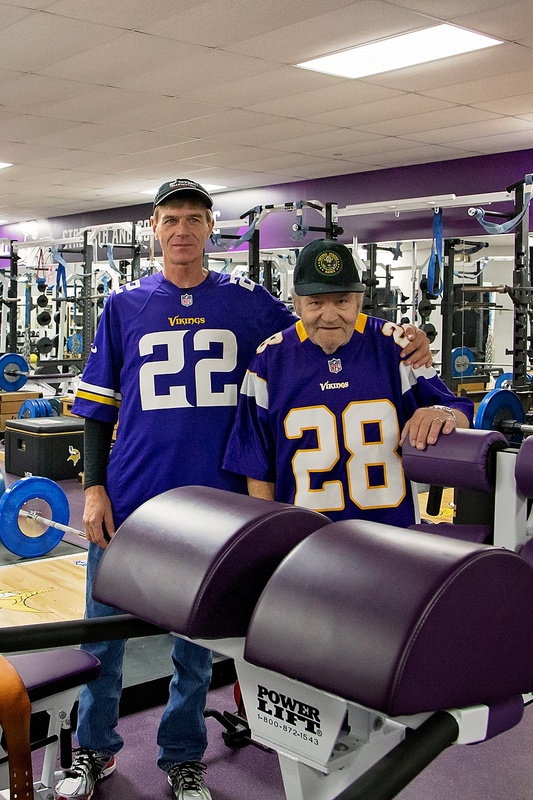 Thank you to his nephews, Dan Lund of Minnesota and Gary Lund of Texas, for making the trip to Minneapolis to see their uncle. It meant the world to him. To Community Medical Center, thank you for your compassion in making him comfortable and your special caring to his grieving family. Nurses are truly sent from heaven. In lieu of flowers, please make a donation in Ford’s name to Wish of a Lifetime, Fox Hollow Animal Project or Hilda’s Room at Community Medical Center. Their contacts can be found through the Internet.